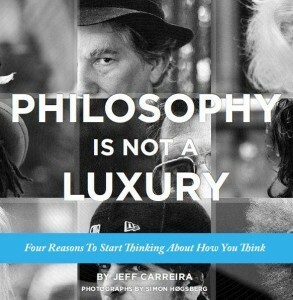 Philosophy is not a Luxury by Jeff Carreira. The philosophical ideas discussed in this book mainly belong to the classical American philosophers Charles Sanders Peirce, William James, and John Dewey. These three minds were the originators of the philosophy called pragmatism, which remains to this day America’s most significant contribution to world philosophy. The essays represent a general progression of thought, each building upon the last. They are suggested to be read as complete in themselves in order to see what questions and avenues for further inquiry they open up for you. Each essay is a snapshot, a glimpse into an extraordinary perspective on reality. They are seeds for contemplation, starting points for your own inquiry. The philosophical ideas discussed in this book mainly belong to the classical American philosophers Charles Sanders Peirce, William James, and John Dewey. These three minds were the originators of the philosophy called pragmatism.